The new Galaxy Alpha smartphone is one of the few devices by Samsung Electronics Co. (KRX:005930) that features metal in its external design, but recent reports indicate Samsung may have more metal smartphones in its pipeline, which may be released under the “A series.” Sources told SamMobile Monday Samsung has plans to release three devices as successors to the Galaxy Alpha, which will be a part of a new “A series.” The devices, which fall under the model numbers SM-A300, SM-A500, and SM-A700, reportedly will have specifications similar to the Galaxy Alpha, including a metal design. 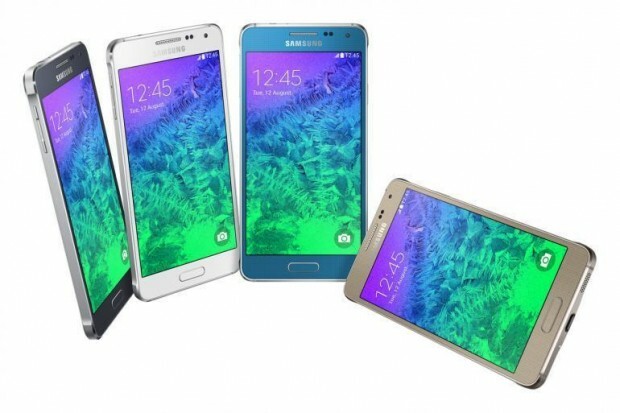 The Galaxy Alpha has been touted as a mid-range device with a number of high-end features. In addition to a metal design, the Galaxy Alpha includes a power saving processor, 32GB of internal memory, a 12-megapixel camera, and a fingerprint sensor. The upcoming devices are expected to be available for various price points. A profile for the SM-A500 model smartphone was recently discovered on Samsung’s mobile website, which said the device should include an HD (1280×720) resolution display and the Android 4.4 KitKat operating system. Another model is also expected to have an HD display while the third is expected to have a qHD (960×540) resolution display. Currently, there are few other details for the upcoming devices though sources told SamMobile they may be released before the end of September. Notably, Samsung’s is hosting an Unpacked event Sept. 3 to announce its latest flagship, the Galaxy Note 4, but it is unlikely the new devices will launch at the same time since Samsung typically launches its flagship devices on their own.